HealthMPowers and Christi Kay acknowledged for being a major contributor in the creation of the Growing Fit curriculum. 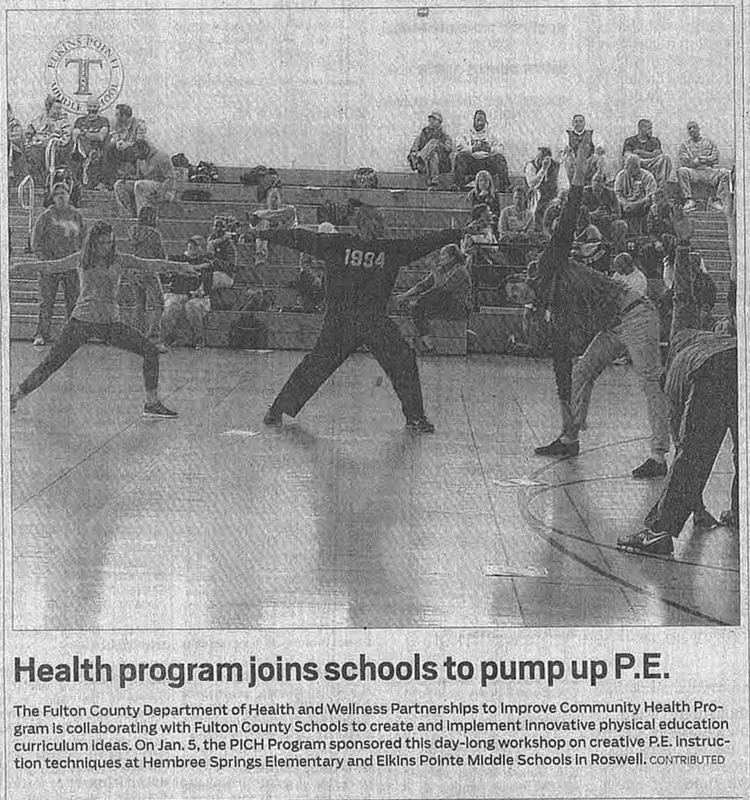 AJC highlights PICH program’s collaboration of Fulton County schools and HealthMPowers to boost physical education in schools. Nominated by board member, Diane Allensworth, HealthMPowers received this prestigious award based on the organization’s commitment to improving the health and lives of those in the community. Read more here. In a thesis published in “The Physical Educator”, intensity levels of exercise programs in an elementary classroom setting were investigated. HealthMPowers’ Exercise for the Body and Brain DVD was one of the resources used for evaluating the intensity levels. For the full thesis click here. HealthMPowers would like to recognize Thad E. Caldwell and Dr. Tom Ratliffe from Florida State University for their efforts. HealthMPowers is ranked number sixty-five on the list of Top 100 Physical Education Sites.